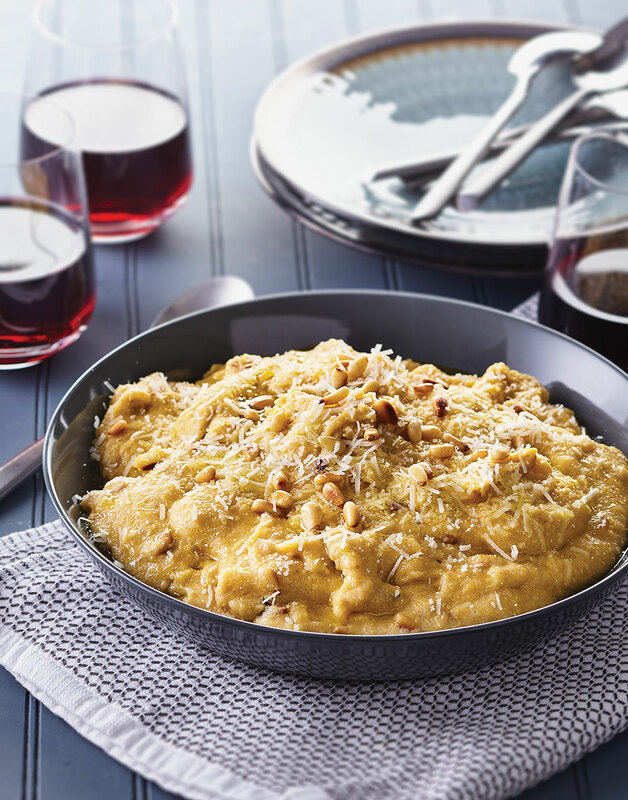 Soft and naturally creamy, this polenta is the ultimate side dish to serve with the Mushroom Ragoût. Boil stock, half-and-half, salt, and pepper in a saucepan over high heat. Whisk in cornmeal, reduce heat to medium, and cook, whisking constantly, until thick and smooth, 2–3 minutes. Stir in 1/2 cup Pecorino Romano and pine nuts; top with additional Pecorino.